Current public opinion seems to state that all fashion editors have unlimited amounts of cash and access to the closets of any designer collection in the world. There have always been and always will be cool young ladies making the most of the wardrobe they have earned. Regardless of how much they spend on their clothes, it’s young ladies like Enrica Ponzellini who initially drew me to shoot at fashion week and keep me coming back every season. This week I will introduce you to some of my favorite unsung fashion stars; young ladies that continue to inspire me and will hopefully inspire you. It is certainly best when they put in there own drop of style instead of running around looking for outfits from designers! Great friggin style! Her look is stylish but classy! This is a great idea, I look forward to more. As for Enrica, I love how she reuses the same pieces for completely new looks. I actually missed the fact that it was the same coat in first and second to last photo at first glance. Being able to do this with what you have makes her the true fashion and art inspiration, like you said. Huzzah! Yes! Bring it on! Scott I think the same as you, being a stylish woman does not depends on how much you can earn, it is about making amazing look with all the pieces you already have in your closet. Sometimes fashion is not only the international runways. I really love this kind of person very stylish who are reusing some clothes, not only wearing new ones! It is so more accessible to us! 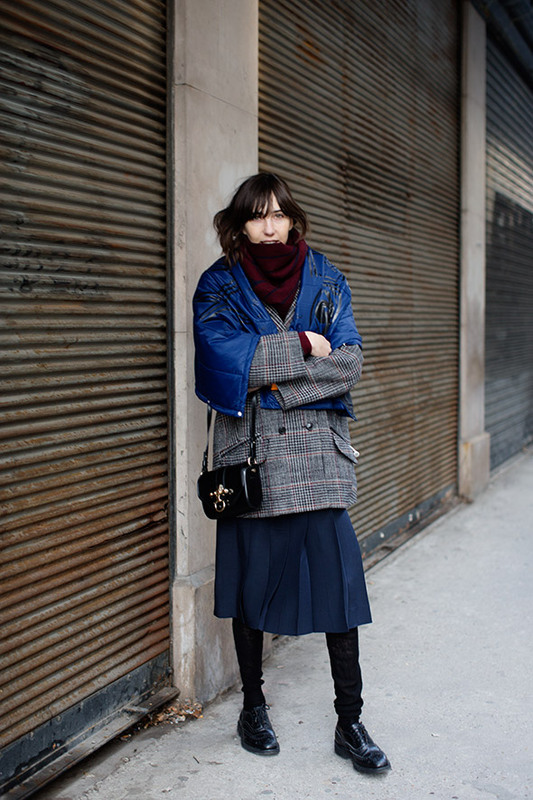 You’ve either got style or you don’t…needless to say this lady has found her very own style! Compare her to Anna Wintour…both have style…but Anna’s look is so very polished…while Enrica’s style looks so comfortable and relaxed…Anna’s so very aware of her clothes…while Enrica has put it all together and then forgotten all about it! She looks so cozy, love the layers. Such wonderful style! Thanks for the insight. Look forward to much more. Thanks for share, this post makes me think to try more mix with my clothes. Such an inspiration. I’m putting myself through college, and so although fashion is so important to me, I do the best with what I have on my college budget. Thank you for acknowledging that style has nothing to do with a price tag! I like your point of view and the fact that you remain true to yourself. It’s great that you chose to dedicate a post to this lady! love the oversized items in her closet! Wonderful inspiration! I think you’re right – the greatest skill of all in fashion is to make combinations. If you are able to do that you only need a limited amount of pieces to create an endless number of different looks. That’s what’s cool about fashion and not being able to buy anything you want. I’m already looking forward to the next post of this section. I agree with you. 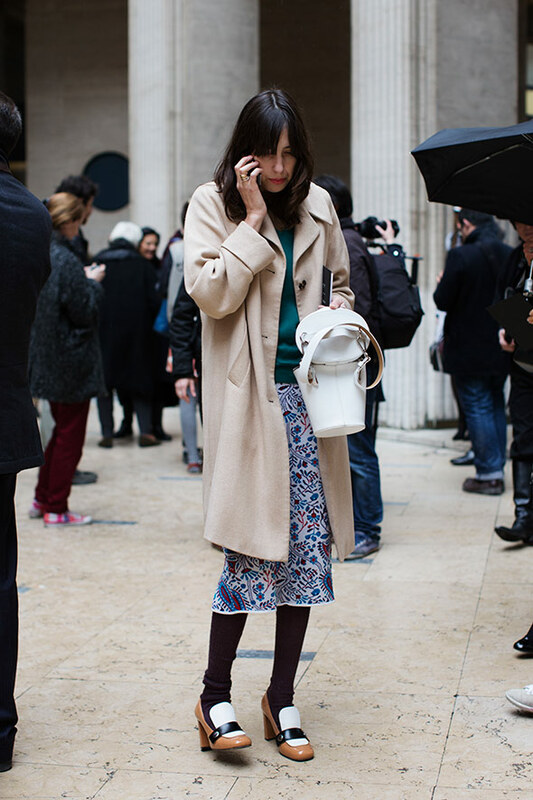 I’m most interested in photographing ordinary people on the street or “unknowns” like this woman at fashion week. Of course, I have to take a small exception to the stress on “young”. We older folks can be cool and inspirational too! I love her style, especially in love with her shoes and bags! i’m in love with the last coat! I’m definitely guilty of believing that fashion editors have their hands in all the closets! I guess somewhere deep inside, I just hoped that’s true since they mixed and matched with what they’ve got already so well that it looks new. I’m glad you mentioned it, sometimes public opinion is truly funny and even ridiculous! She had very nice pieces! Thank u for this theme. It is a return to the fundamentals and is wholly refreshing. I’m with the bloggers commenting that you don’t need lots of $$ to have great style, although it doesn’t hurt. You just need lots of creativity. It helps to be an adventurous sewer or knitter. That way you can create a fab, expensive-looking garment for a fraction of the department store price. I aim to do that in my own life. I try to wear one hand-made (sewn or knit) every day when I walk out the door daily. Even if it’s just a scarf. That’s my comment for today. Btw, I love the fashion editor’s tan/white shoes…very 1960s and 70s looking. My guess is this editor splurged on the shoes to get her lux look. Very smart on her part. She looks so oringinal and I like her style. Love the mix of burgundy and gray in the first look! Hold on a second. If you did not know these women were in fashion or if the pictures were not on this site would you still think they are “stylish”? Context is 90% of the game. And I would venture to say the the vast majority of followers here are fashion enthusiasts and/or professionals. This in no way undermines the excellence of the photos but it certainly should shine a light on the sort of tunnel vision that some of you have acquired. I’m new to this blog, and I must say I find it very interesting. I love photography, and I like to see people experimenting with their style (I can only do my best with my small wardrobe!). I love the fact that not only high fashion and big money is presented, or represented, here, but the inspirational people, regardless of their age, position in the fasion world or where they live. I will definitely look forward to seeing more of the pictures as above. Love the outfits! But what I especially like, is how the photos are made. i agree with some of the other readers that her style is rather frumpy – and i don’t love it – but i love the post itself, and the reason for your post: personal style, resourcefully executed. i do love her shoes & bag, though. yet… needing to spend and re-funnel that money back into your image, precisely because of what you do. She is very stylish and looks great in all the pictures. I’m looking forward to seeing more of these unsung heroes. 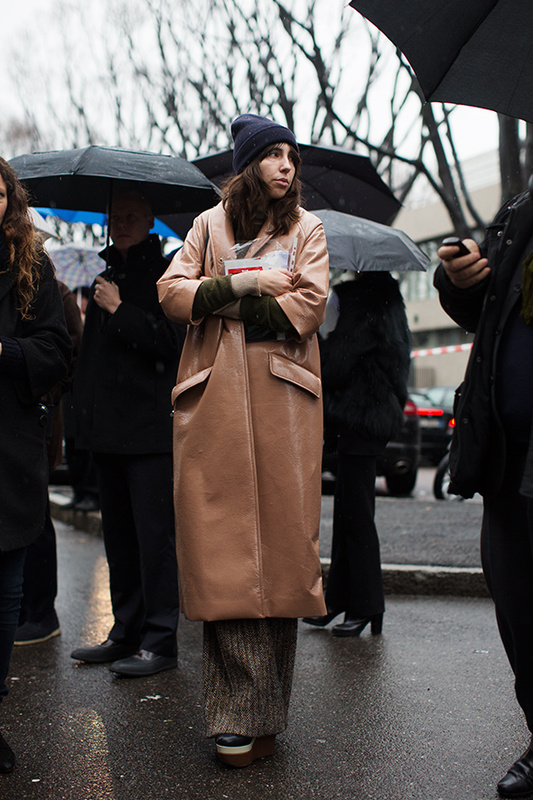 To me head to toe top end designer as worn by many fashion editors can look too contrived – this girl looks better. What a great post. I love her style, it’s devil may care and stylish all at once. I am especially impressed by her accessories, those shoes are amazing. And thank you for showing us your unsung fashion heroes, I look forward to seeing more of them. Cool white bag. Great look. Great idea. I love her baggy stockings and haircut. Style can be uncanny but most people who have it seem to understand quality, taste, color, proportion, and history so they know what they are toying with and referencing even if the clothes aren’t plucked from a vast and expensive wardrobe. Annie Hall seems a big influence here. I too like the concept of this particular post. Especially vs. those w/such bottomless pockets of cash to spend on clothing they only wear once (aka conspicuous consumption). When I like an article of clothing, I like to wear it again and again in different ways. Let’s see more ordinary (but extraordinary) women both young and mature. She definitely has that standout style. She puts a unique twists on some styles you may see every day. I am packing for a week in Europe today and this is inspiring…into the suitcase go the brogues!!!!!! and you are right…THIS is great style…seeing the same clothes restyled in different looks adds a touch of intimacy…like you know the person and what they own and love! You see their thinking…THE secret to true style…intelligence and creativity!!!! I have been a reader of your blog for years, Mr. Schuman. I have always admired the fact that you not only post photographs of ADR and other fashion bigwigs, but also tradesmen, and individuals who delight in dressing purely for their own enjoyment and comfort. To me, that is the enduring, inspiring message of The Sartorialist. Often, designers are inspired by something in a rough state that they have observed and then re-envisioned, such as blue jeans (originally worn by coal miners). A willingness to keep an open mind and see beauty in all situations makes life more rich. You curate a blog that is significantly more interesting than a fashion blog and I hope that you never stop documenting these sincere moments. The idea of ​​being a mentor of to newpotential global fashion editor with different style($) and point of view is very tempting here is why you could change all in the fashion world ,with your incredible power… you really had a good idea this weekend!!!. Love this, great idea. I love when they mix hi and lo. Bravo ! I love her style. Obviously she prefers to invest on few good quality pieces of clothing instead of buying tones of high street fashion. This seems to be specially inteligent for people in Europe as it is so cold. On the other hand, she is naturally nice girl who knows the classic color combinations and proportions that never fail. As per graphic design, her skirt in the second picture reveals exquisite taste. Her last shot, i.e when she “experiments with fashion” seems to me as trying too hard as people in this blog commonly say. Beautiful style and great inspiration! 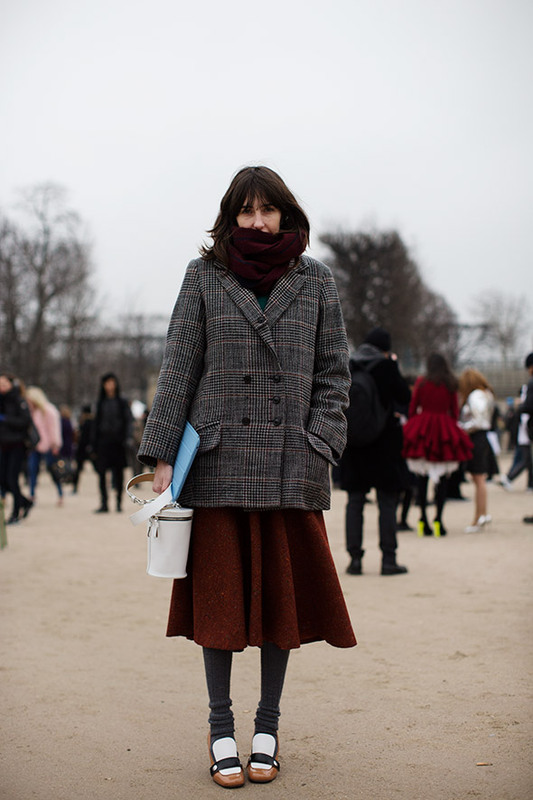 This woman certainly has good knowledge about textiles, texture and combinations. Directional! Dear Sartorialist… If someone can’t even afford to buy in H&M, then he will never be a fashion icon. Sadly there’s no fashion without money, because not everything can be found in second-hands. In love with fashion – student from Poland.
. . . NO . . . you are wrong . . . TRULY it is possible to have fabulous INDIVIDUAL style . . . with MUCH less money than it costs to shop in H&M . . . FASHION ICONISM is a bit different, and to my mind less important, but really it is possible to do it with nothing . . . fashion icons lead . . . start a revolution . . . look at fashion history . . . did the punks of the 1970′s spend lots of money . . . ??? . . . NO of course not . . . Listen to Vivienne Westwood . . . make an outfit from a table cloth . . . ! I just love the patent coat in the 3rd shot! Dear Scott, I have been reading and following your blog for years now. Sometimes I disagree, but the beauty of your photographs and what they carry is remarkable and I couldn’t help myself from stopping by. Money doesn’t get you style and there are many of those who tend to impress us with their outfits despite the tiny budget they are on. However, let’s not be hypocritical here: many, if not most of your posts, feature designer outfits, and designers, custom made outfits and vintage pieces that are no affordable. Many of your photographs feature before- and after-fashion shows, or the shows themselves, which again, are not affordable. Let’s not forget that it’s just easier to be fashionable if your closet (and wallet) aren’t empty. I completely agree with this post. The pictures on this blog are of course beautiful and inspiring – why else would I be reading it? – but the overwhelming impression given is that being stylish = wearing designer clothes (and standing outside fashion shows). Of course fashion editors are not millionaires, but they probably are wealthier than most. A designer “investment” piece still costs hundreds of pounds, and so many people are completely unable to afford that “investment”. Just something worth bearing in mind. I was just reminded of the hilarious articles you sometimes get in the British dress, praising Kate Middleton as thrifty for wearing the same designer dress TWICE. Why use such an archaic expression as “young lady” to describe the fashion editor of Vogue Italia? That’s what my uncles used to call my sisters and me when we were under 12. It’s a weird term to use to describe an accomplished, talented and hip fashion editor. The word “woman” works just fine. It’s not a dirty word. It’s not just for the elderly. Describing her as a “young woman” would have given her the respect she deserves. Really great shots, love the last one! I have to agree with Ms. Pea, above. It may not be intentional, but your use of “young lady” rubs me the wrong way Scott; it’s a bit condescending and doesn’t fit the Sartorialist’s tone. You feature powerful, fashion-forward WOMEN on your blog. I love these tricolor shoes!!! So sixties!!! She’s got style & that’s what it’s all about. But it is true that many of the fashion big-names seem like they have unlimited bank accounts (like Chiara from The Blonde Salad). Feels like it is impossible to dress as well as them simply because we do not have so much money…but I guess the most important thing is to work what you have. Having countless designer clothing doesn’t equate to style. “…to inspire…” Yes! That is what I come here for, inspiration! Love the layered clothes?! Since when is anorexia fashionable. I guess in the fashion industry, always. on the two first photos, she has a Balenciaga bag! third pic, it’s a Givenchy clutch and on the last image, her coat is from Miu Miu….I dont really understand what is this post all about??? This post really inspired me. Yes, it’s true. totally true. You are amazing!! I love her shoes from the 1st/2nd photo. she looks like she has her own style but she also looks like she has updated it heavily to fit with the new trends in terms of lengths/textures/silhouette etc. Like someone above said it’s much easier to have style with money. I’m lucky I live by a goodwill next to a big university, also has a well-known business school, where I am sure all the nice jackets I find for $6 stream in from. She pulls it off with effortless grace. I personally prefer the more understated style. Some of the more ‘peacocky’ looks look fake to me. You can’t imagine them dressing like that day to day but the understated looks are realistic but still have something different about them. I’m particularly fond of her look in the first pic. I also like that this series of pictures allowed us to see her use some of the same pieces in different outfits. Versatility has become very underrated in an industry that tends to imply that no one wears the same thing twice. 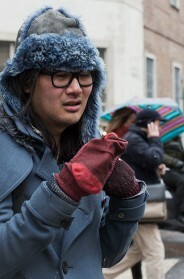 This is why I love The Sartorialist. Knowing how to make the most out of your wardrobe truly is a talent and why so many people love to come to your website for inspiration from around the globe!